Therapist and yoga instructor Kristen Acciari answers common questions about yoga for anxiety and stress. Yes! Many studies have demonstrated the effectiveness of yoga in reducing stress, anxiety, and depression. 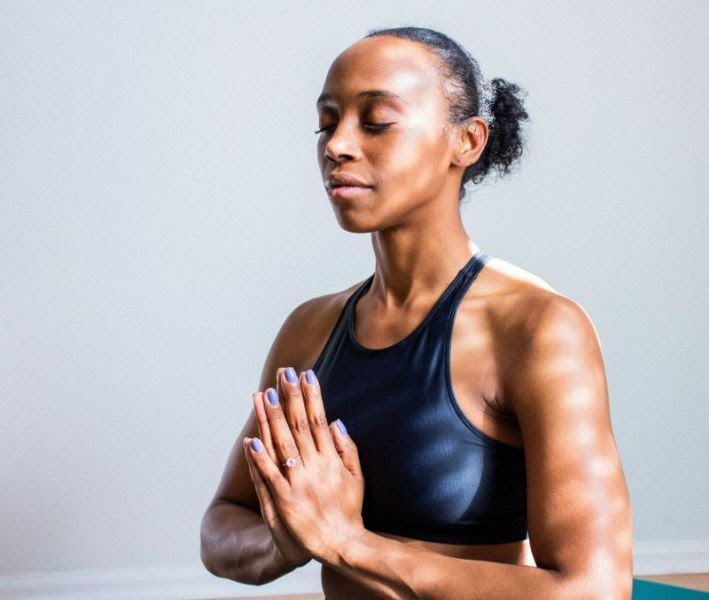 In one study, women who participated in a three-month yoga program experienced significant improvements in perceived stress, anxiety, and depression. In another study, ten weeks of yoga helped reduce stress and anxiety for participants. How does yoga help ease anxiety? Which type of yoga is best for anxiety? Classes titled “yoga for anxiety” or “yoga for stress” or restorative classes are especially recommended for reducing anxiety because they are intentionally designed to release tension, increase relaxation, and focus on the present. These classes have the specific needs of individuals experiencing these feelings in mind, and the practice is curated accordingly. For example, the class may include breathing techniques and self-compassion exercises. If you do not have access to a class with an explicitly-stated focus on helping ease stress and anxiety, classes described as gentle, restorative, or mindful can also be a good fit. When in doubt, reach out to the yoga studio and ask! If you share what you are looking for, studio staff should be able to direct you to the class that best meets your needs. Yoga is an extremely diverse practice; classes can vary from gentle to challenging, with intentions ranging from relaxation to strength-building. Due to the depth and diversity within yoga, it’s important to choose a class that fits your goals of reducing anxiety and stress. What yoga poses help anxiety? Bring your mat over to a wall and lie on your back. With your bottom up against the wall, stretch your legs upward toward the sky and rest them against the wall. Arms can be out to your sides or hands can rest on your belly. 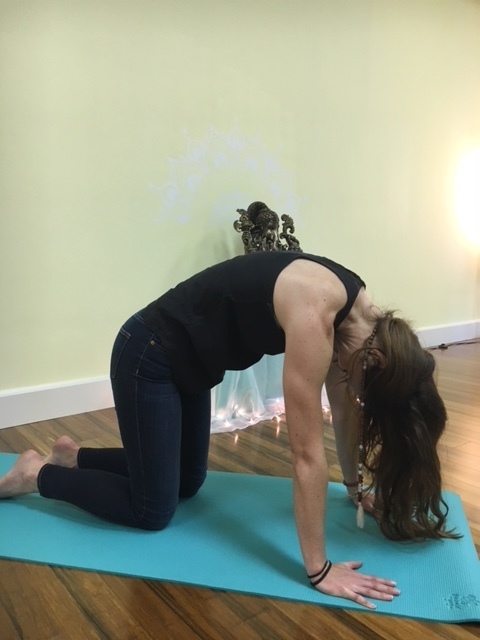 (2) Cat-cow pose: This pose works with the spine to calm the nervous system and induce a relaxation response. Come to your hands and knees, with wrists beneath the shoulders and knees beneath the hips. As you inhale, drop the belly toward the floor, raise the tailbone, and bring your shoulders back. As you exhale, reverse the movement, sending tailbone toward the earth, rounding the lower then upper back, and releasing the back of the neck so the crown of the head is pointing toward the earth. Repeat for 5-8 breaths, linking breath with movement. 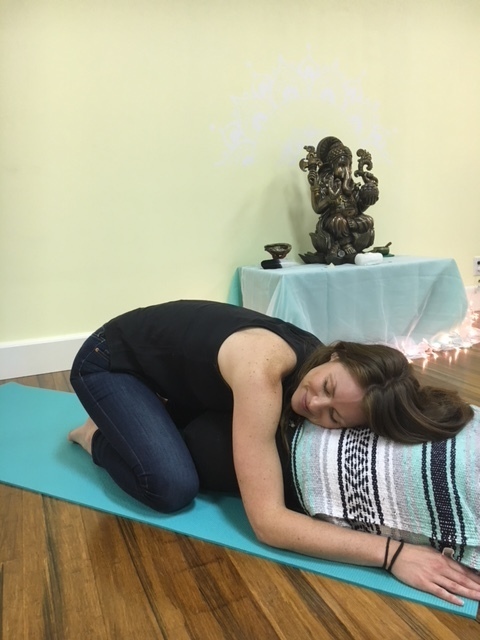 (3) Restorative child’s pose: This pose supports the heart and opens up the back body creating a sense of comfort and release. Sit back on your heels with knees outstretched to about the width of your mat. Bring a bolster, pillow, or folded blanket to touch the inside of both knees, positioned vertically out in front of you. Stretch your arms overhead and fold forward over your bolster, allowing your torso to rest on your prop. If using pillows or blankets, you may need 2 or more for a comfortable height. Your head can be turned to one side. Rest your hands on either side of your bolster or prop, with elbows pointing outward to relax the shoulder blades. Breathe into the back body. Where can I find yoga classes for anxiety? 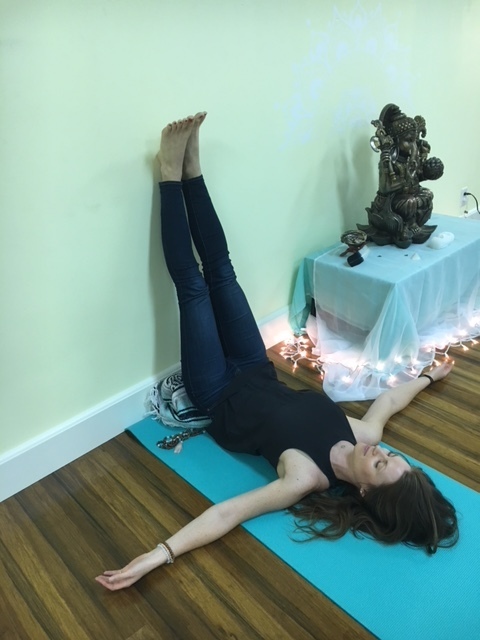 Most yoga studios offer restorative yoga classes, and an increasing number of mental health centers are offering yoga for anxiety and stress as well. The immense benefits of yoga for mental and emotional wellness are well-documented, and centers that offer traditional talk therapy are starting to incorporate body-based services like yoga into their service offerings. Finding a class in a setting like this can be a great way to ensure the environment of the class is sensitive to your needs and experiences. Kristen is a therapist, yoga teacher, and and founder of The Holistic Heart, an integrative mental health center in Warwick, Rhode Island.